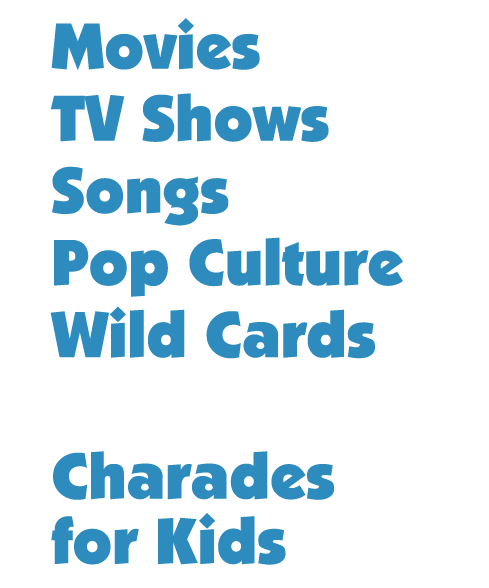 Charades is a fun game for all age groups, but when you’re looking for charades words for adults, it can bring your party to the next level. 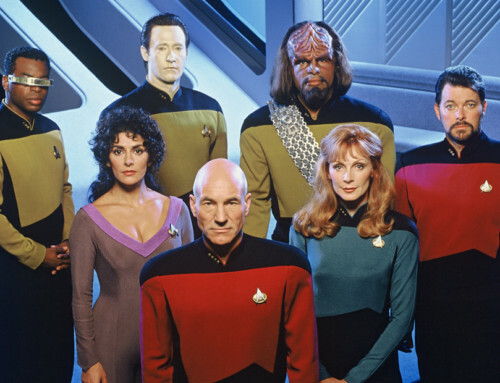 TV, Movies and Pop Culture are all winning categories. 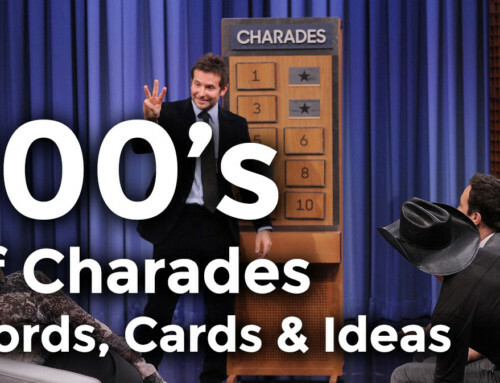 If you’re looking for some info on how to play charades, you’ve come to the right place. 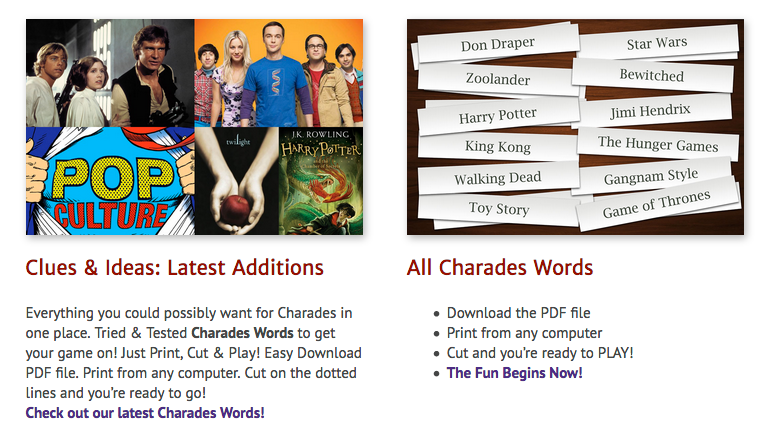 You can check out how to play here: How to Play Charades. Funny Charades words for adults (and the whole family) is just a little more challenging than kids charades. It’s a great party game, no matter what age you are. At Charades Clues we make it easy. The best lists. All tried and tested for the skilled AND unskilled. These are not random lists. All the lists have our Charades Seal of Approval. You may find a list or two that can basically do the trick. But our lists are from the #1 Charades Website. All the words are carefully picked for fun, excitement and the biggest laughs you’ll hear all night. We’ve got some free clues so you can get an idea of what we’re talking about. 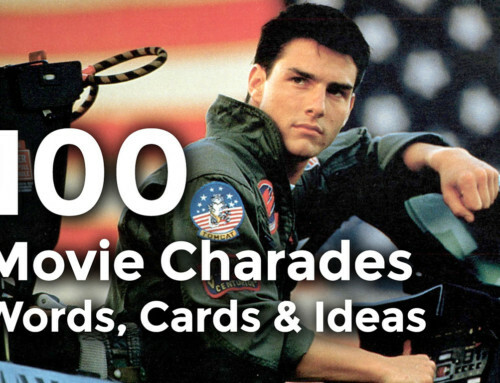 We have hundreds of charades words you can act out. 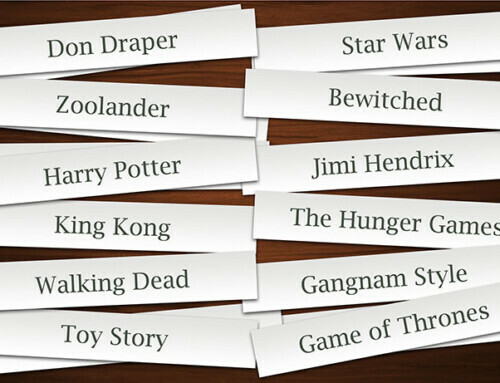 Our charades ideas are suitable for both kids and adults. So, grab the kids list our the movies list, the music list. We also have an awesome Wild Cards list that has everything but the kitchen sink. Again, all pre-screened for charades fun! So whether it’s charades words for adults or charades words for kids. We’ve got your party covered.